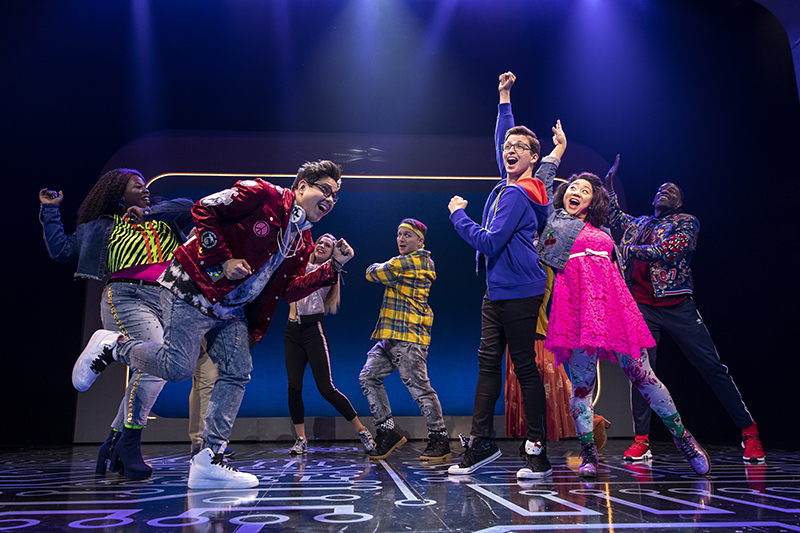 The latest teen musical sensation to hit Broadway, Be More Chill, found acclaim during its initial 2015 run at the Two River Theater in Red Bank, NJ. 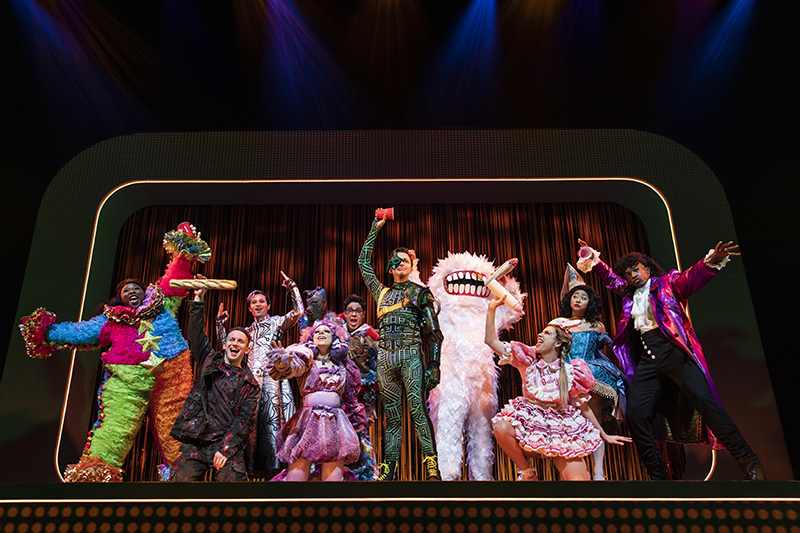 But it was not until its soundtrack album became a streaming hit with tweens and teens that the show ascended to a 2018 off-Broadway run and quickly after, jumped to the Great White Way, with the Broadway production officially opening on March 10, 2019 at the Lyceum Theatre. The fact that technology helped spur the show’s success is highly apropos. The story focuses on awkward, nerdy high school junior Jeremy (Will Roland) who wants to capture the heart of Christine (Stephanie Hsu), who is the geek girl of his dreams. 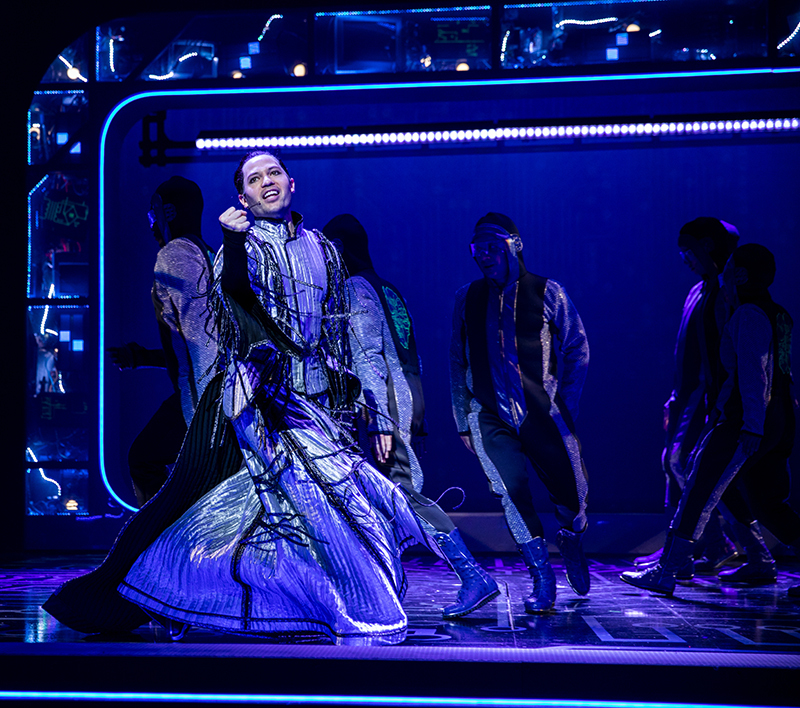 To become more socially adept, he takes a pill that implants a Japanese supercomputer in his brain called the SQUIP (Super Quantum Unit Intel Processor), which is represented onstage by a human avatar (Jason Tam) who emulates Keanu Reeves while wearing Matrix and Tron couture. His SQUIP teaches him to be more chill (be cooler) and to become liked by the in-crowd, which actually threatens his relationship with his nerdy best friend Michael (George Salazar) and even risks alienating him from Christine. 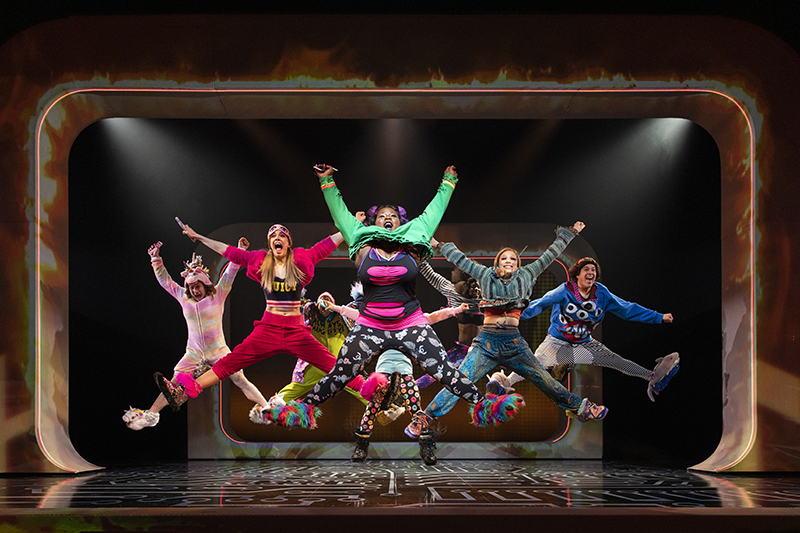 Directed by Stephen Brackett, the musical is ripe with ‘80s and ‘90s references. Lauren Marcus, Will Roland, Katlyn Carlson and the company of Be More Chill. 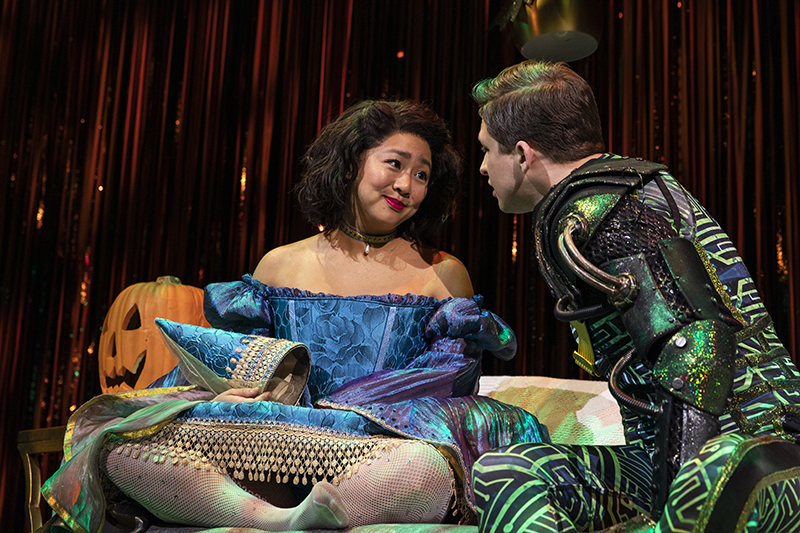 Stephanie Hsu plays Christine, Jeremy’s (Will Roland’s) love interest. Take the drum overheads, for instance. He really clamped down on the 1176s but was not getting the full sound. He also used Neumann 184s, his “mainstay overhead mic” on drums, and when he went back and played the drums he also was not satisfied. So he started taking stuff off of the PM7. “It has a Silk feature on it,” says Rumery. “It works great on the vocals — red makes it brighter, blue makes it warmer. I ended up not using Silk on the band at all. I know all the players. They’re great musicians. I ended up sticking with the Yamaha compression just because I knew how it reacted. We initially toyed with adding plug-ins, but ultimately decided that wasn’t the authentic sound of our show. I’m doing this because of my ears and my intuition. You have to put some of those gadgets away and just realize that it’s still rock ‘n’ roll and indie music, and the reason why classic records sound amazing is musicianship, instruments and smart mic choices. 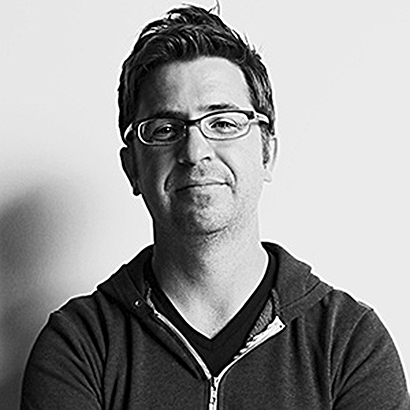 The sound designer praises the “awesome” orchestration of the show, but he also found it a challenge due to its complexity. On top of the standard rock pit instruments, a vocoder and theremin are present. He needed to smoothly blend the analog and acoustic instruments with the electronic elements. 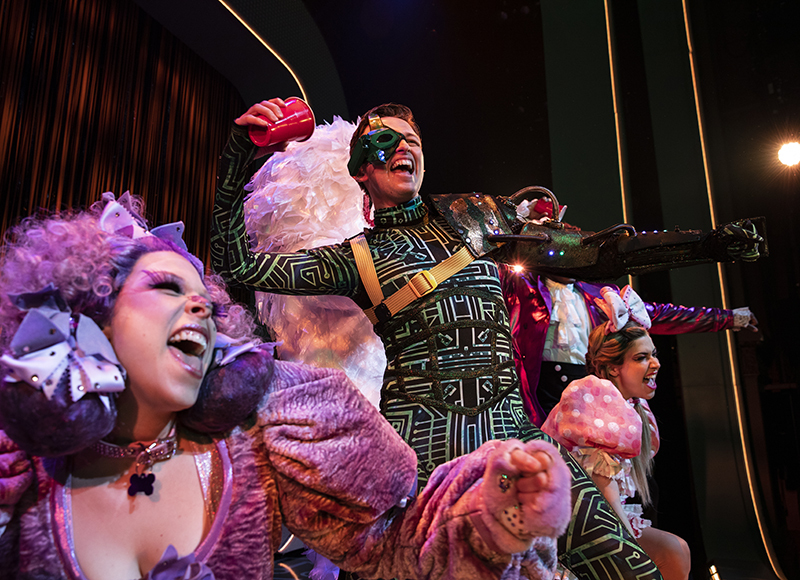 The seven musicians — who are located upstage behind the cast and masked for most of the show — include a drummer, bassist, two guitarists (who double on acoustic and guitar #2 on ukulele), a brass player (flugelhorn, trumpet) doubling on theremin, a keyboardist/musical director, and a second keyboardist who also plays flute, two recorders, and tenor and baritone sax. “It’s a lot to manage, and it was definitely like a wild horse to rein it all in,” says Rumery. For the drums, Rumery used Neumann KM 184s for overheads, Sennheiser 421s on the toms, a Shure 57 on the snare, and an Audix D6 for the kick. Both of the guitar rigs are on Line 6 Helix, which Rumery has begrudgingly become a fan of, and he is running them out through Radial DIs. “I don’t want to monkey with anything in how it comes to the desk because the musicians who program it know what they’re doing,” he says. The Be More Chill cast includes 10 people, which are miked with DPA 6066s and the new Sennheiser 6212 pack. They finally switched over to them in mid-March, because this was a new pack that Sennheiser had just come out with, but due to the recent government shutdown, “they weren’t able to register the frequency with the FCC and we got majorly hosed,” recalls Rumery.